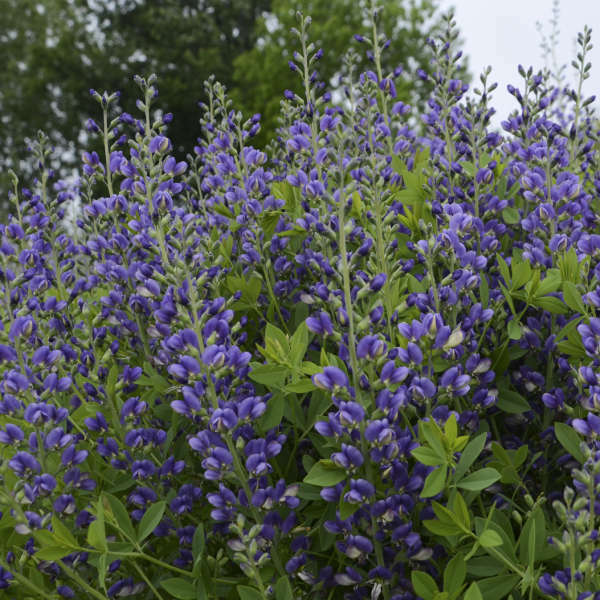 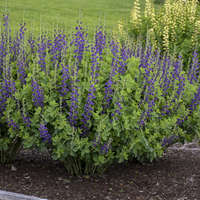 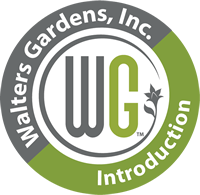 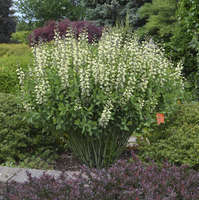 Baptisia 'Blueberry Sundae' PP23891 CPBR5095 | Walters Gardens, Inc. 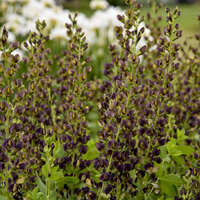 Deep indigo blue flowers much more vibrant than B. australis and a perfect plant habit are the key features of this new variety. 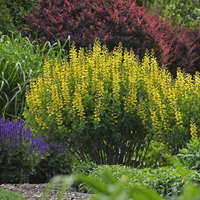 An excellent floral display occurs in late spring to early summer. 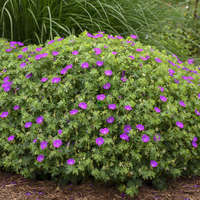 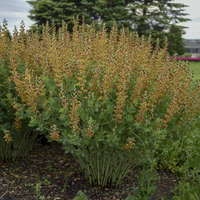 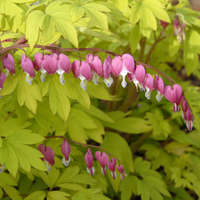 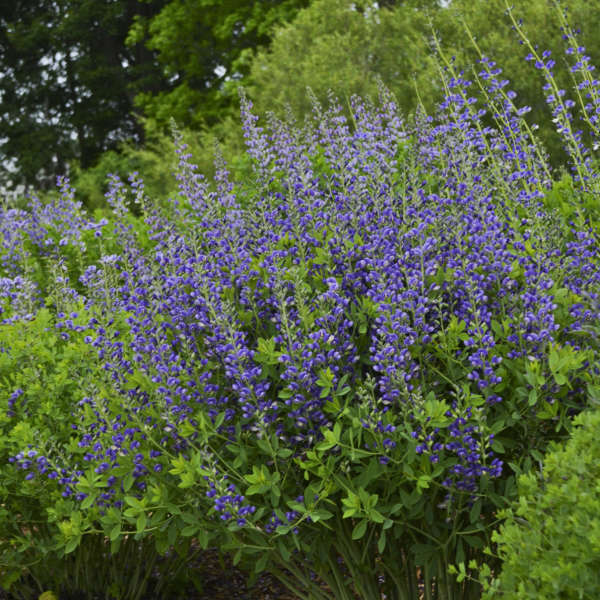 The deep blue-green foliage forms a more compact, upright mound to 3ft tall at maturity. 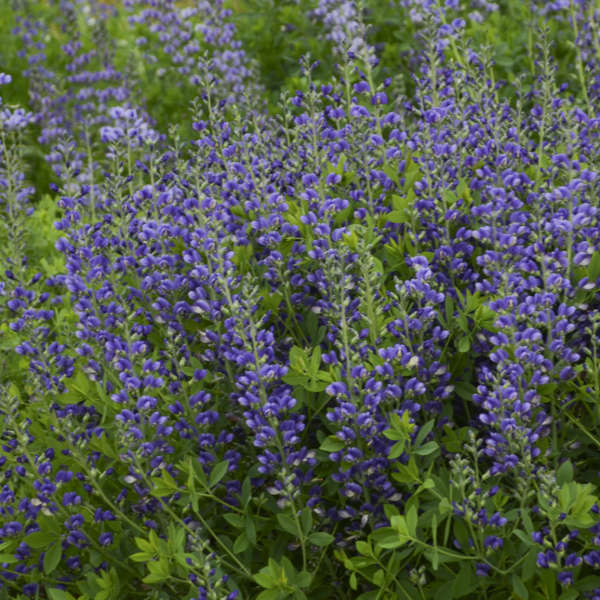 ‘Blueberry Sundae’ is a vigorous grower and the foliage looks great all summer. 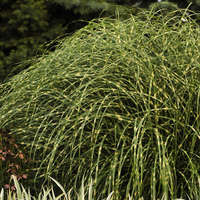 Ornamental seed pods extend the season of interest into fall.